Sri Lanka’s image as a nature-based tourist destination has been given a boost by Lonely Planet, which has named the ‘Elephant Gathering’ of Minneriya as one of the world’s “10 greatest wildlife spectaculars.” Every evening during the dry season between 150 and 200 elephants assemble on the banks of the Minneriya Reservoir to graze on the tank bed, where grasses have sprouted due to the low water levels. The elephants turn to this much needed fodder at a time when foliage in other areas dry up. The ‘Elephant Gathering’ peaks in August and September, at the height of the drought. 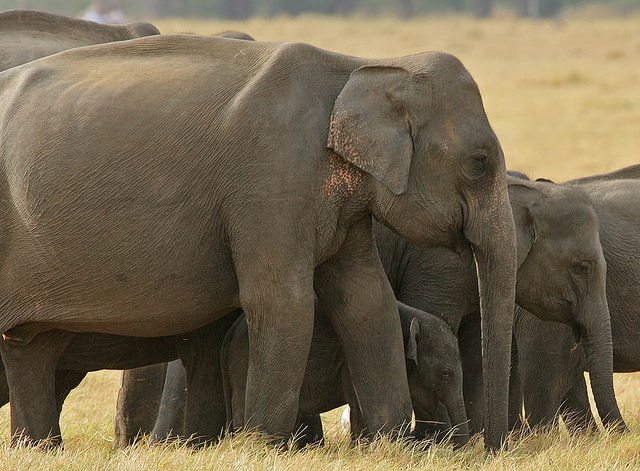 According to wildlife authorities, the Minneriya gathering is the largest grouping of wild Asian elephants at any given time. The sad news, however, is that the gathering may be threatened. If a plan to retain the Minneriya waters in the dry season is carried out, the temporary grasslands on the bed of the Minneriya tank would disappear, and the number of elephant visitors would decline. This would affect the area’s elephant population, which depends on the temporary grassland as fodder in the dry season. The baby elephants would be especially seriously affected. That the ‘Elephant Gathering’ has gained international recognition may help in lobbying for keep the Minneriya tank for the elephants. 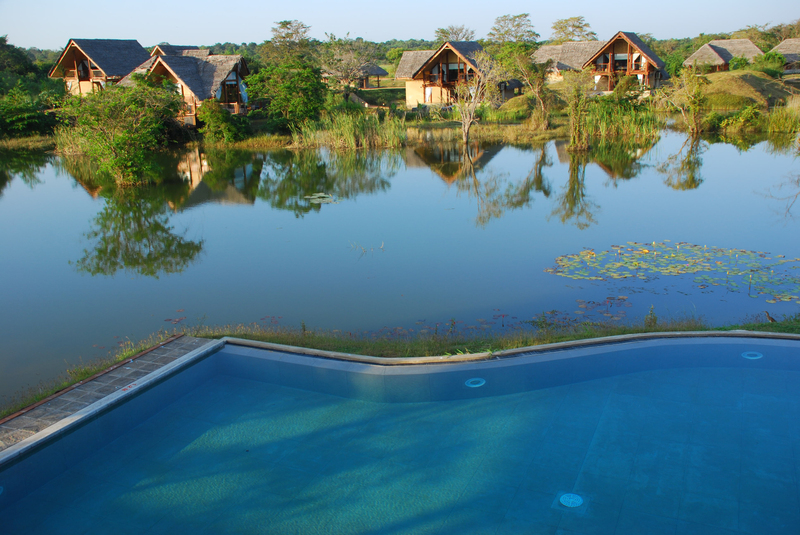 The Jetwing Vil Uyana is the perfect base for visiting the Minneriya Reservoir. 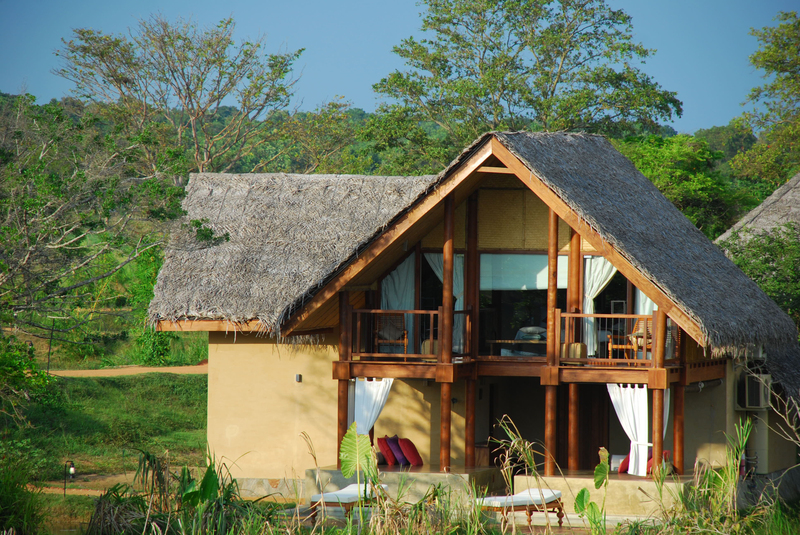 Three nights at the Vil Uyana are included on World Discovery’s Sri Lanka Highlights itinerary.